Angela and Clayton Blehm, plus Ashton, 13; Juliet, 11; and Callan, 9. They moved to Gainesville because of a job opportunity for Clayton, an ophthalmologist. 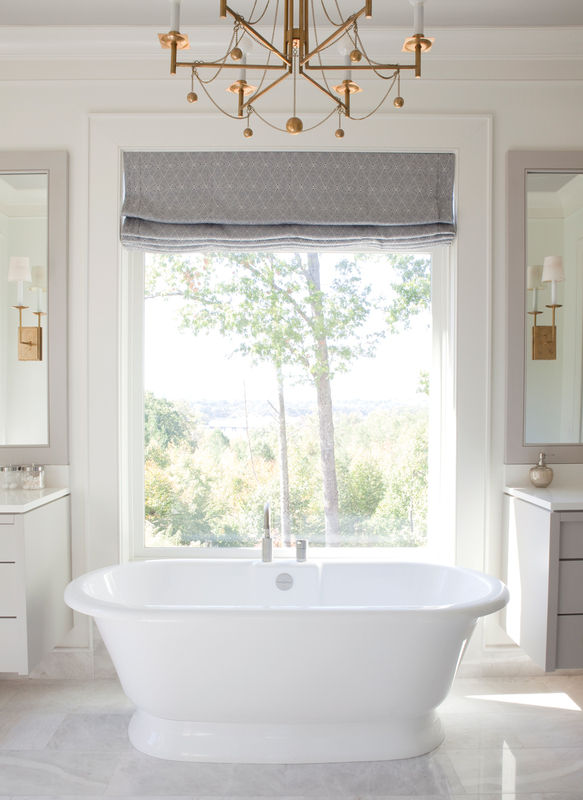 “I came up with the caged light idea after seeing a similar brass light fixture in an Italian magazine,” says Angela. 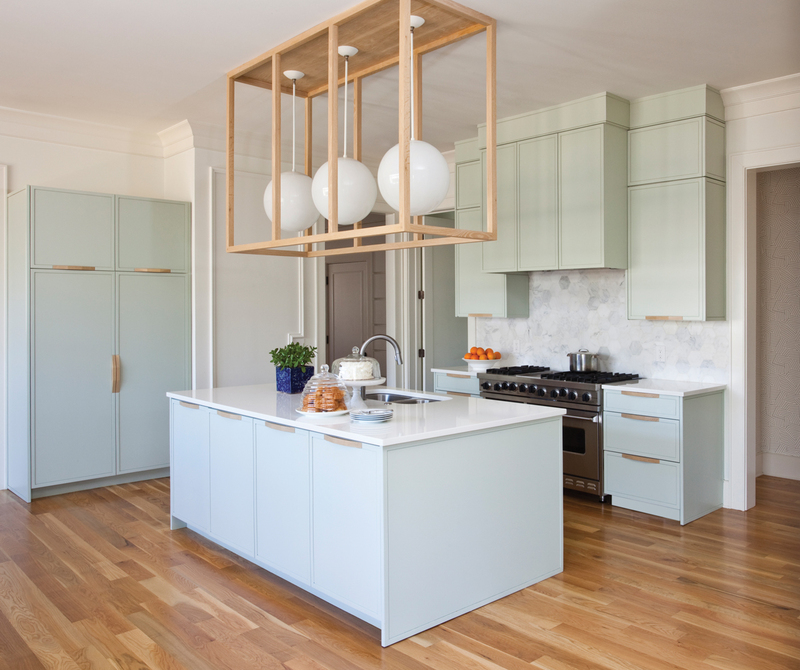 “I decided to do our cage in white-washed oak to coordinate with the cabinet handles.” The cabinets are a custom shade of mint green. Angela’s geometric paintings on wood offer a dramatic focal point for the dining room. The photograph of her legs in blue tights by Matt Odom is another unexpected touch. Table is by Crate and Barrel. 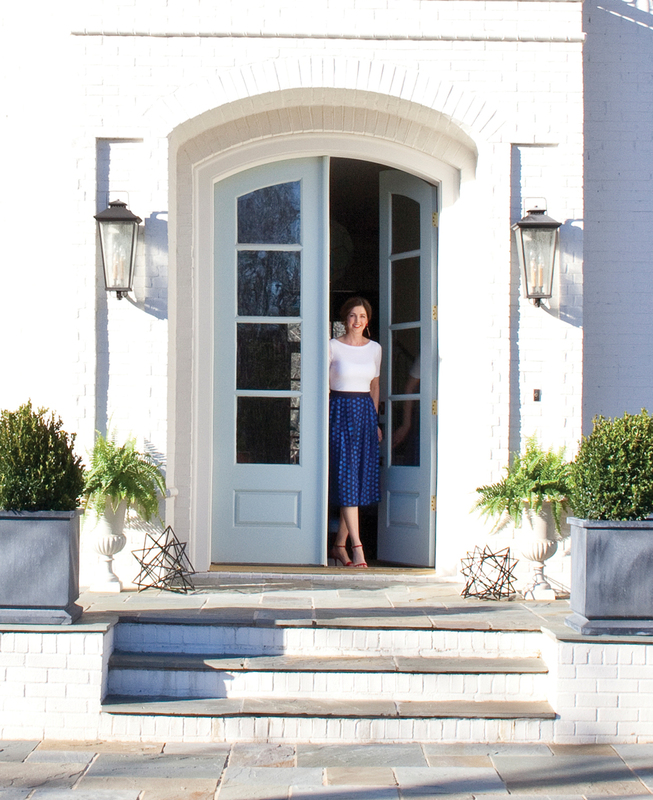 Angela often tweaks her interiors and is in no rush to finish. In fact, she calls her approach “slow decorating”—a reference to the slow food movement—and, like the foodies, embraces local sources and time-intensive methods. 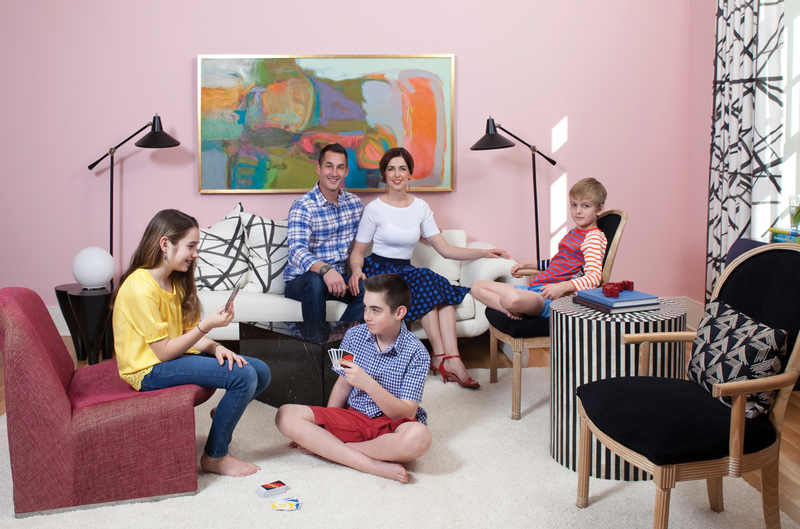 To create backdrops for her imaginative vignettes, Angela and her husband, Clayton, first tackled remodeling projects. They added windows to provide more natural light, as well as views of the lake and woods. They also gutted the kitchen and added modern cabinets with wooden handles, a detail Angela spotted on Pinterest. 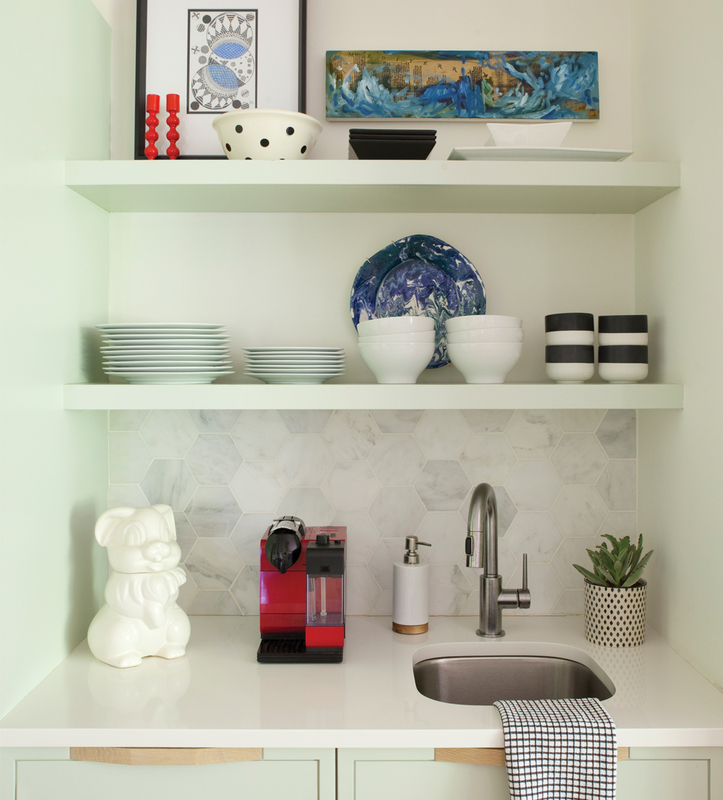 As she considered colors for the cabinetry, the artist kept coming back to mint, eventually mixing a custom concoction herself to get just the right hue. She enlisted her carpenter, Chris Lund, to build a wooden cage surrounding a trio of pendant lights over the island, a clever trick that adds warmth and scale. The marble kitchen table was made by Atlanta-based Grey Furniture. 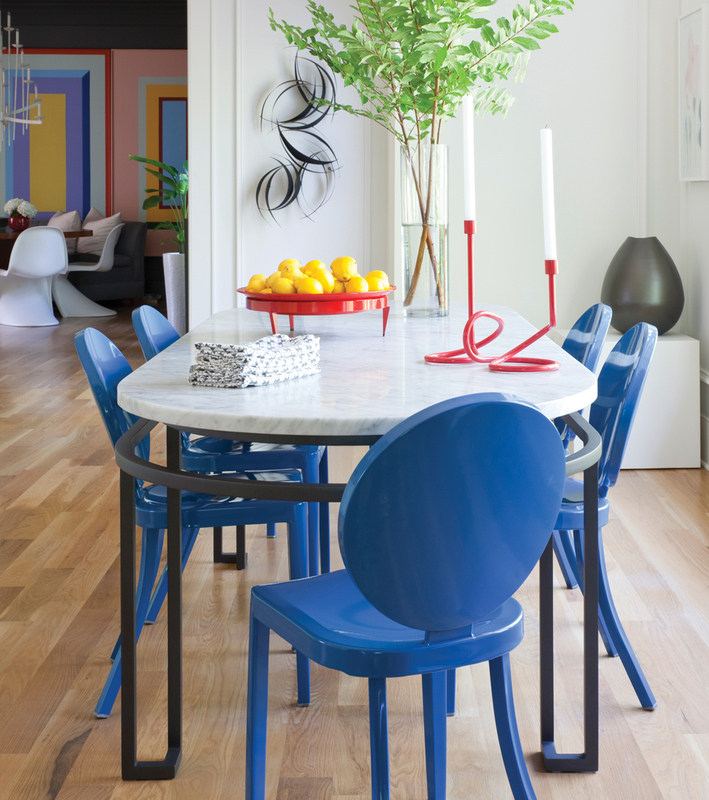 “I love how the bright blue chairs pop against the Carrera marble,” says the homeowner. 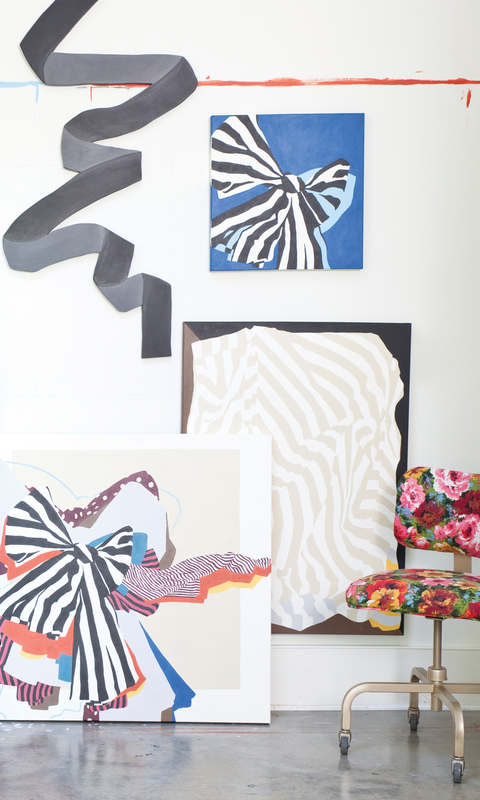 A glimpse into Angela’s whimsical home studio. “I’m kind of a girly-girl,” says Angela, who chose “Lotus Flower” by Sherwin-Williams for the living room walls. Drapery panels of Kelly Wearstler fabric and a sofa by Steve Leonard for Brayton International anchor the vivid space. Angela’s love of vintage style shows up in the marble coffee table and 1980s-era black chairs from Bloomingdale’s New York store. The homeowners have collected vintage pieces from Scott Antique Markets, Craigslist, and random mom-and-pop stores. 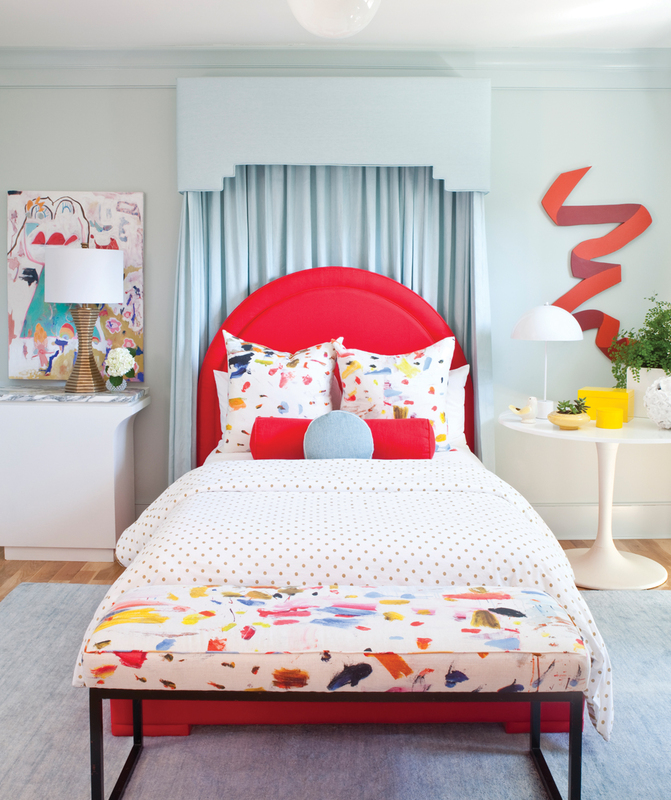 A found metal bed, for instance, was powder-coated a vivid red for the guest bedroom. Angela’s art studio is filled with quirky items that inspire her, from glossy orange mannequin legs to a circa-1950s cutout of a lady’s head. 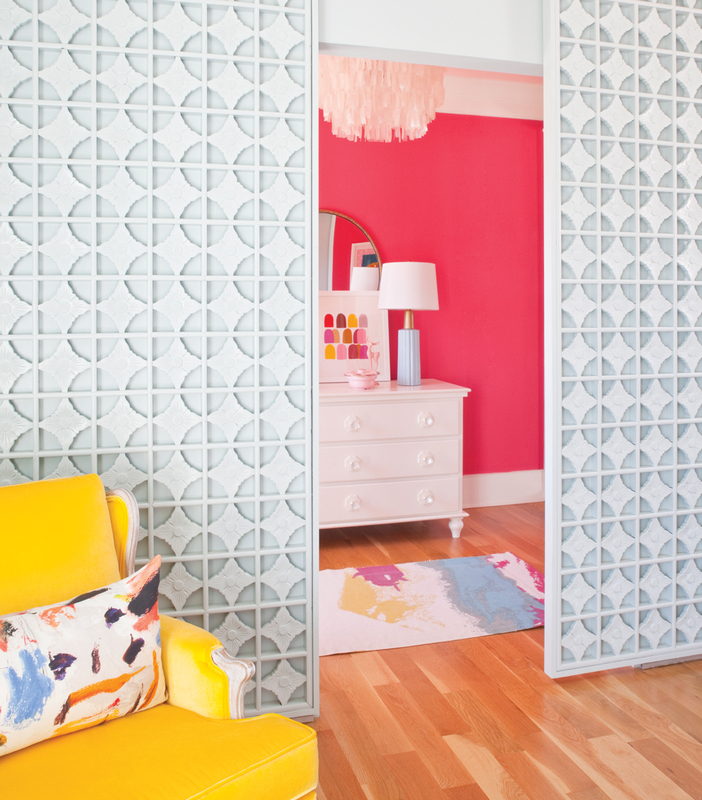 Repurposed vintage screens serve as sliding doors for Juliet’s room. This article originally appeared in our Summer 2017 issue of Atlanta Magazine’s HOME.